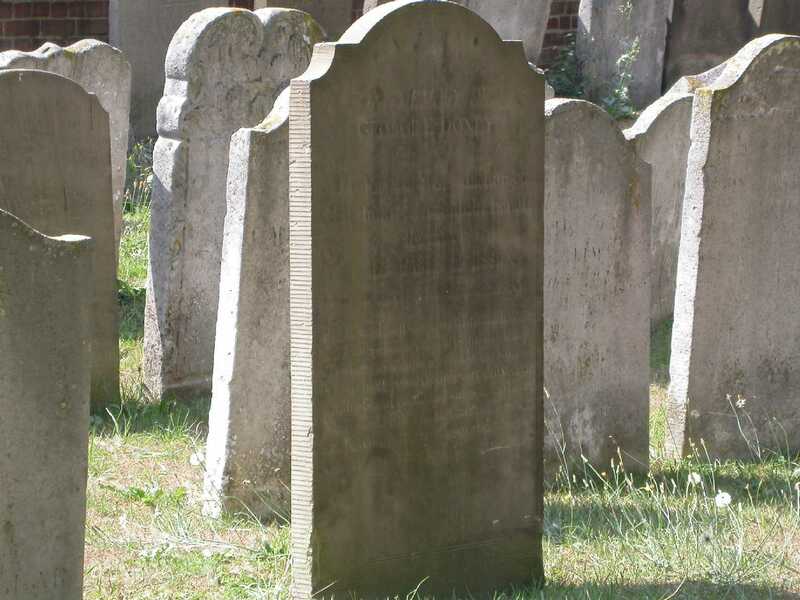 A gravestone in St Mary’s churchyard still marks the resting place for one of Cassiobury’s black servants, George Edward Doney c. 1758-1809. 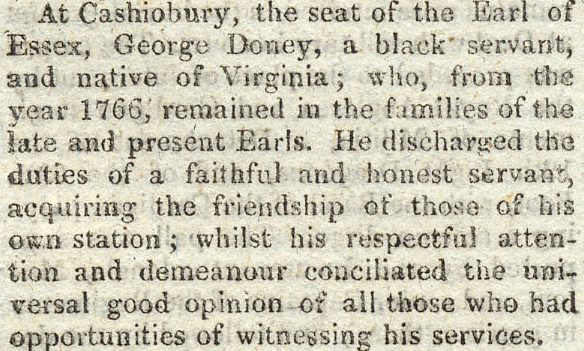 George, known as Edward, worked for 44 years for the 5th Earl of Essex. 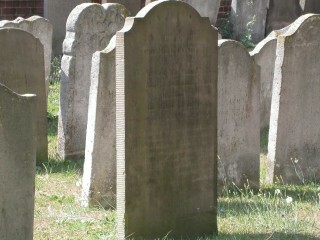 The inscription on his gravestone reveals that he was captured from Gambia as a child and sold into slavery. A freeman’s charter and a Christian’s grave. This page was added on 16/08/2011. 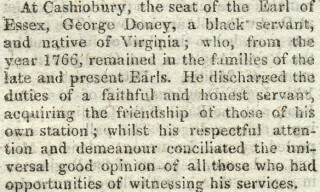 The story of George Edward Doney fascinates me and I am driving from Somerset to visit his gravestone today.